This beautiful apartment is the ideal place for a relaxing stay in the Catalan capital. 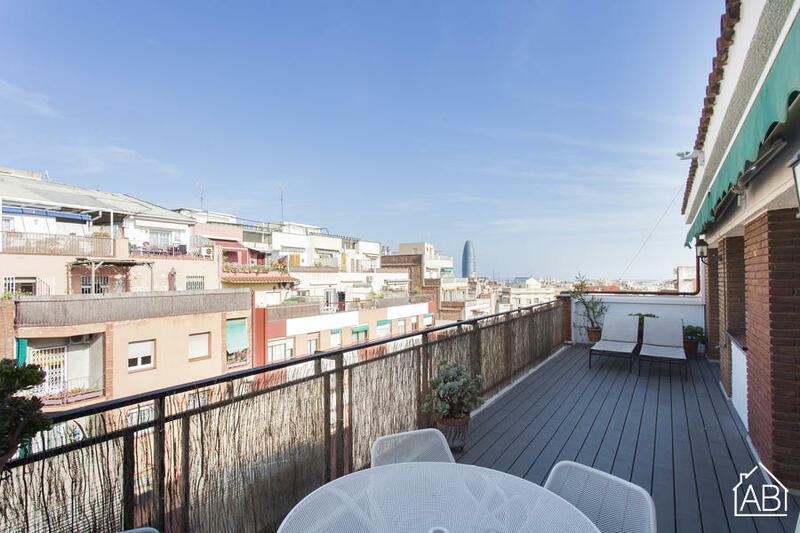 Located a short walk away from the incredible Sagrada Familia, this area of Barcelona is vibrant and exciting, with numerous coffee bars and restaurants as well as two metro lines conveniently connecting with the rest of the city. This well decorated, spacious apartment has a classic feel to it and guarantees that home-from-home feeling. With two good sized bedrooms and two bathrooms, the apartment can comfortably accommodate 6 people. There is a fully equipped kitchen allowing you to easily prepare home cooked meals, and a lovely living-dining room complete with TV and DVD player. The apartment also has Internet connection. As an added bonus, a lovely terrace with fabulous views of the city awaits you in this fantastic apartment.